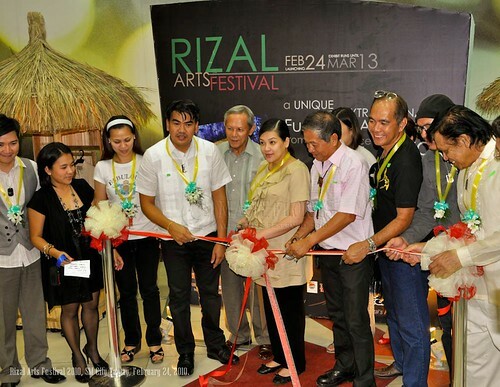 The 2nd Rizal Arts Festival proved to be a showcase of Rizal Province's best artists. 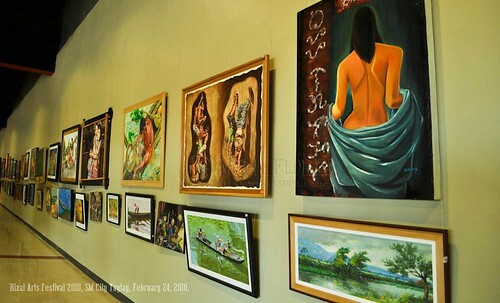 Organized by famed artist Nemi Miranda of the Nemiranda Arthouse Gallery and SM City Taytay, the exhibit was opened in February 24 at the mall's event center and will run until March 13, 2010. 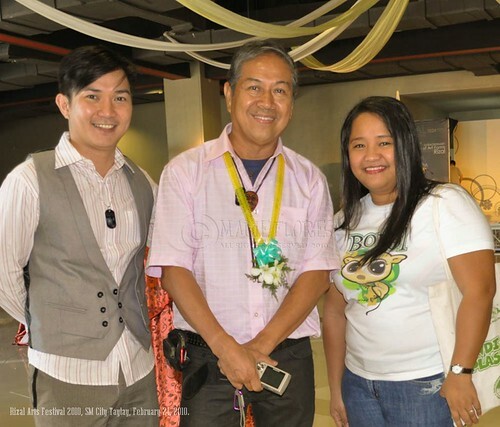 Gracing the launching and ribbon cutting of the arts festival was Rizal's First Lady and supporter of the Rizal Artists Group, Andrea Bautista-Ynares, and Taytay Mayor Joric Gacula. 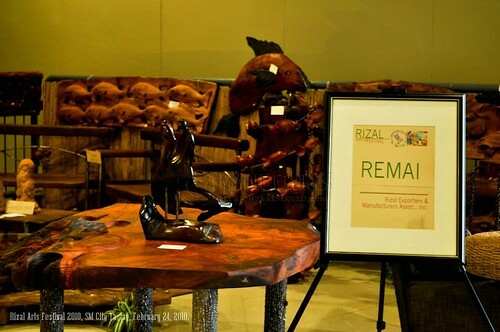 Featured Rizal artists in this festival include Nemiranda's ART CAMP, the Rizal Bonsai Club, the Eastern Rizal Photographers guild, Taytay couturiers Gener Gozum and Merlino Cruz, the Neo Angono Artists, and tattoo icon Butch Bautista. 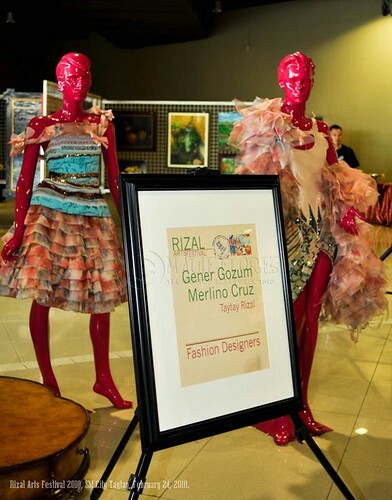 March 1 - 5 (Monday to Friday), 4 PM at the Event Center. 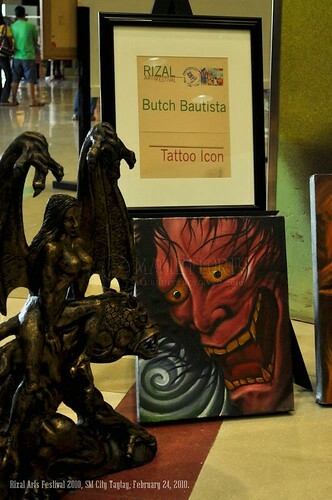 Participants should bring own art materials (drawing paper, craypas/oil pastel, and pencil/charcoal). February 26-28, March 5-7, March 12-14 (Friday and Saturday)during Mall hours at the Event Center. Materials are available at the venue. February 26-27 (Friday and Saturday), 3 PM at the Event Center. March 6 (Saturday), 3 PM at the Event Center. March 6 (Saturday), 4 PM at the Event Center. Hi Maui! 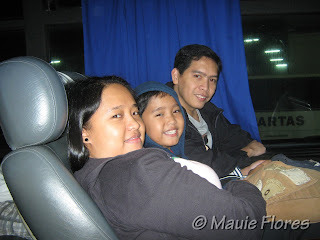 Am Ding from Palawan. Just dropped to take a closer look of your blog. It's awesome! 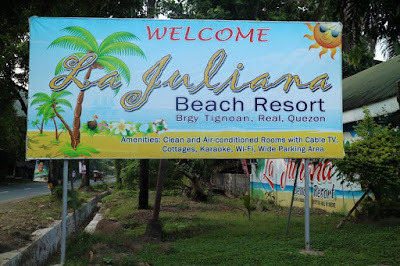 Ang galing naman...Sana kasing galing mo ko magsulat. Thanks and sure I'll be back.